The Map of Greenland Template in PowerPoint format includes two slides, that is, the Greenland outline map and Greenland political map. 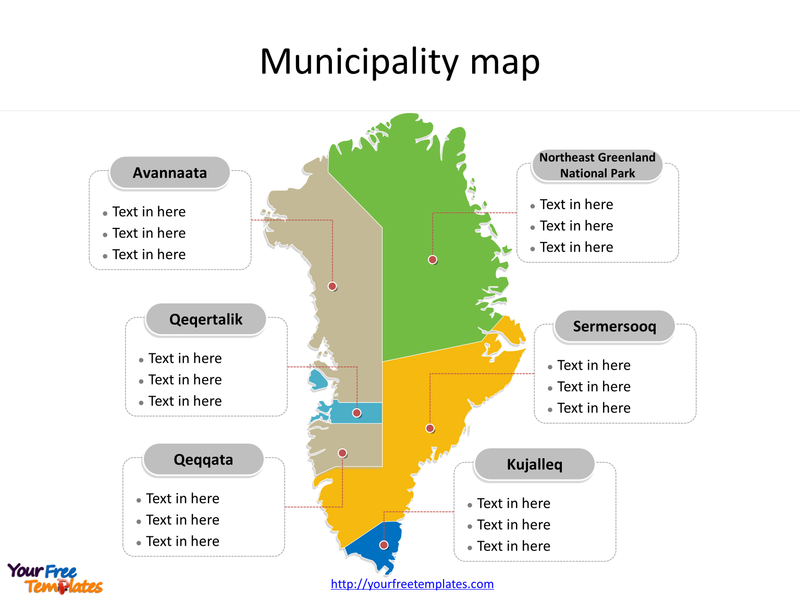 Firstly, our Greenland outline map free templates have Municipality centers on it. 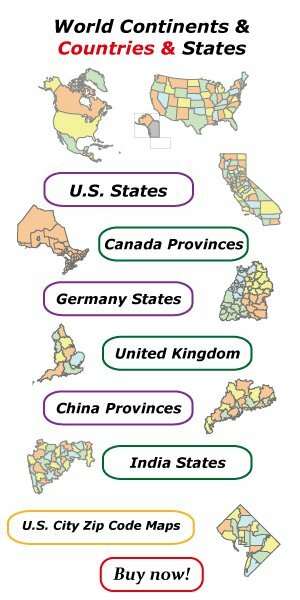 Secondly, there are five municipalities in our Greenland map free templates. 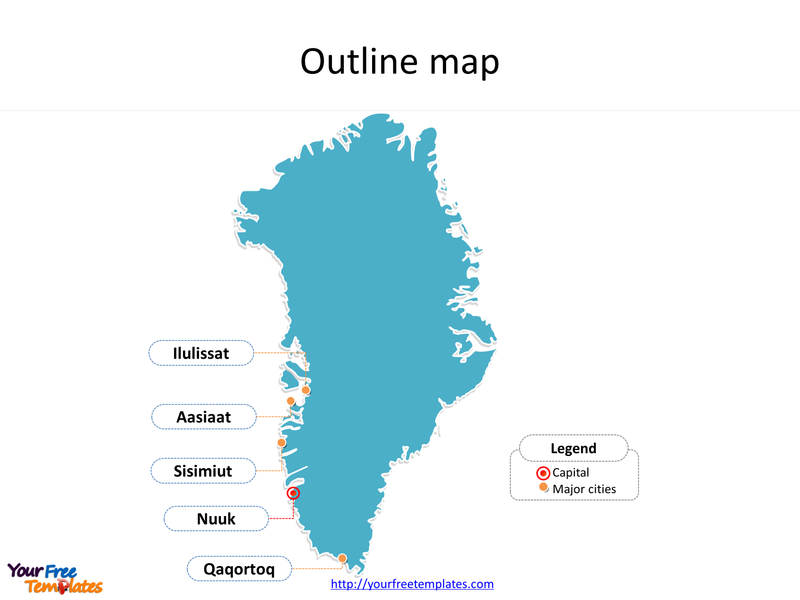 The Greenland Map free templates include two slides. Our Map of Greenland is for the autonomous constituent country within the Kingdom of Denmark between the Arctic and Atlantic Oceans, east of the Canadian Arctic Archipelago. Firstly though physiographically a part of the continent of North America, Greenland has been politically and culturally associated with Europe, like Norway and Denmark, as well as the nearby island of Iceland, for more than a millennium. Secondly Greenland is the world’s largest island. Australia and Antarctica, although larger, are generally considered to be continental landmasses rather than islands. Three-quarters of Greenland is covered by the only permanent ice sheet outside Antarctica. Thirdly with a population of about 56,480 (2013), it is the least densely populated territory in the world, about a third of the population live in Nuuk, the capital and largest city. It is noted that the Map of Greenland is the country political division of there are five municipalities as well as the large Northeast Greenland National Park which is unincorporated. The five municipalities are Avannaata, Kujalleq, Qeqertalik, Qeqqata, and Sermersooq. What is more, every individual political subdivision is an editable shape. The labels and shapes are grouped by layers. In a word, you can change the texts, colors, sizes, highlight some map shapes, and add your charts. At the same time you can also refer to the fully labeled Map of Greenland in Wikipedia. The most important of all, analysts from marketing research companies, consultants from professional firms think highly of our website yourfreetemplates.com. Because our maps can help them reduce their efforts and create attractive maps.